Players do not send in false bonus complaints. You would not have to if you read all the bonus rules and regulations, before you sign up to play at a site. And sites make the rules for bonuses understandable for all your players. Player disputes filed online with eCOGRA in respect of “Safe & Fair” accredited online casinos and poker rooms were low for the first quarter of 2008, with an average of only 0.26 disputes per seal site per month being recorded, according to the player protection and standards organisation’s Fair Gaming Advocate, Tex Rees. A total of 171 dispute mediation requests were received during the quarter, well down on the average quarterly figure for 2007 of 195. Of the 2008 disputes lodged, 27 were in respect of websites that are not accredited by eCOGRA and were therefore declined. A further 17 ‘disputes’ were classed as invalid due to insufficient contact information, abuse, falsehood or the lack of a specific complaint. “Unfortunately, the quarter has been marred by a relatively large number of false bonus abuse complaints lodged by fraudulent players, which when investigated in depth were found to be invalid due to multiple accounts, bonus over-claiming and in a minority of cases out-and-out fraud,” Rees revealed, adding that 34, or 27 percent, of disputes she handled were related to bonus issues. Of the 127 valid disputes, 44 percent were resolved in favour of the player, Rees reported, saying she handled an average of 10.6 valid disputes per week over the quarter. 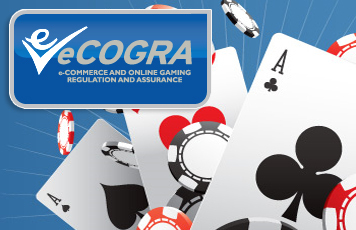 Online players with a problem at any eCOGRA accredited venue who cannot obtain satisfaction at casino or poker room management level, can obtain a fair and impartial investigation by the FGA when a dispute is lodged at www.ecogra.org/disputes. Like I said before you play at a site, read all the rules and regulations on bonuses and play through. If you will always do this there will be no need to send in false reports. If you do not understand a rule, then ask someone. There is always someone that can answer your questions.